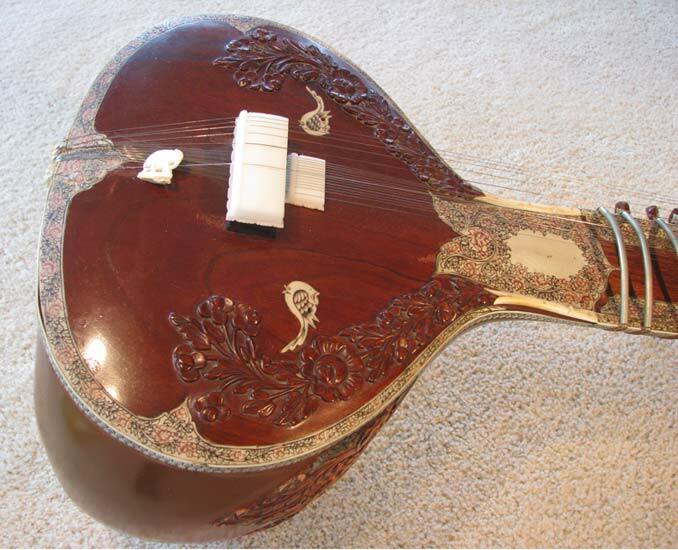 This was one of Patrics many sitars, a mid 60's full carved Hiren Roy. Nicely appointed with deep carvings and beautiful red/black pen work etching. 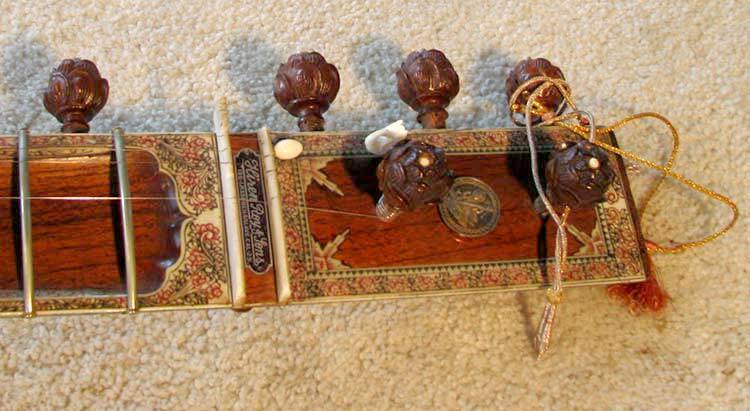 More sitar pics to come .